Hatch, raise, collect, and breed strange and cute new monsters in your own tropical monster paradise! Become the greatest Monster Trainer – you could be the first to discover the ultra rare Diamond Pegasus! 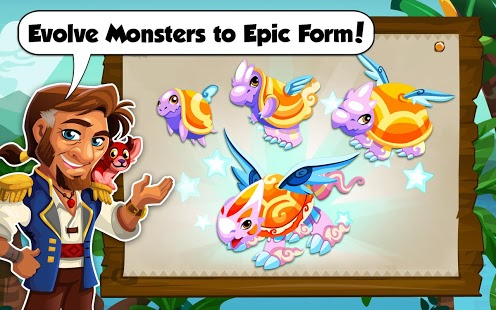 ★ COLLECT powerful, magical, adorable monsters! Watch your monsters move with lively, unique personalities! ★ EVOLVE your monsters through 4 stages in the magical Evolution Totem to reach EPIC form! ★ BREED to raise new hybrid monsters! Can you DISCOVER the rare monsters for each combination? ★ GROW magical food for your monsters. Feed them and watch them grow and evolve! ★ DECORATE your island paradise with colorful habitats, powerful totems, tropical plants, and more! 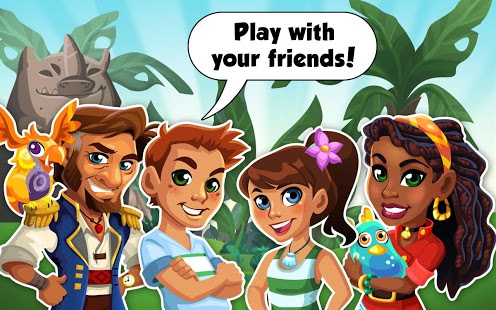 ★ QUEST alongside Captain Reynolds and Professor Hawa, learn their secrets, and earn REWARDS! ★ Sharp, stunning graphics, animations, and sounds bring your monsters to life. ★ Invite your Facebook and Storm8 friends to play with you. Gift GOLD and help each other raise monsters! ★ FREE weekly updates introduce new monsters, new colors, and new goals! Discover monsters of all shapes and sizes! The mighty Tree Rex, bubbly Blue Blob, and many more await you in Monster Story! 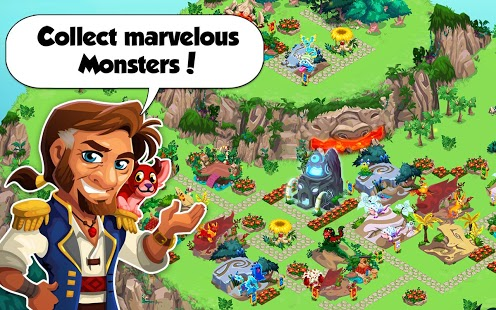 Monster Story is the BEST looking FREE monster game for your Android device! TeamLava, a Storm8 studio, is the #1 Mobile Social Game Developer on Android, iPhone, iPod Touch, and iPad. Hit titles include Restaurant Story, Bakery Story, Fashion Story, Pet Shop Story, Farm Story, City Story, Zoo Story, Nightclub Story, Treasure Story, Empire Story, iMobsters, Vampires Live, Racing Live, Kingdoms Live, World War, Zombies Live, Ninjas Live, and Pets Live.